I’m pretty busy at the moment trying to go through all my unwritten posts, but it’s still nice to reflect on a top 12 travel moments of the year – something I did a similar post on in 2012 and 2013. 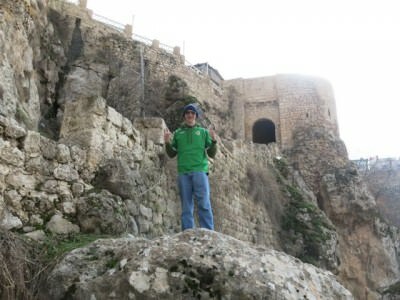 This year I started off in Iraq on New Year’s Day and I have since been to Middle East, Europe, Asia, South America, Central America and North America. It’s been a crazy year of travel as I head to my 99th country and the cracking of the century hopefully soon. In 2014 I even stayed in a couple of 5 Star Hotels and Resorts for the first time, a change from the backpacking adventure. My top 10 Travel Highlights of 2014. 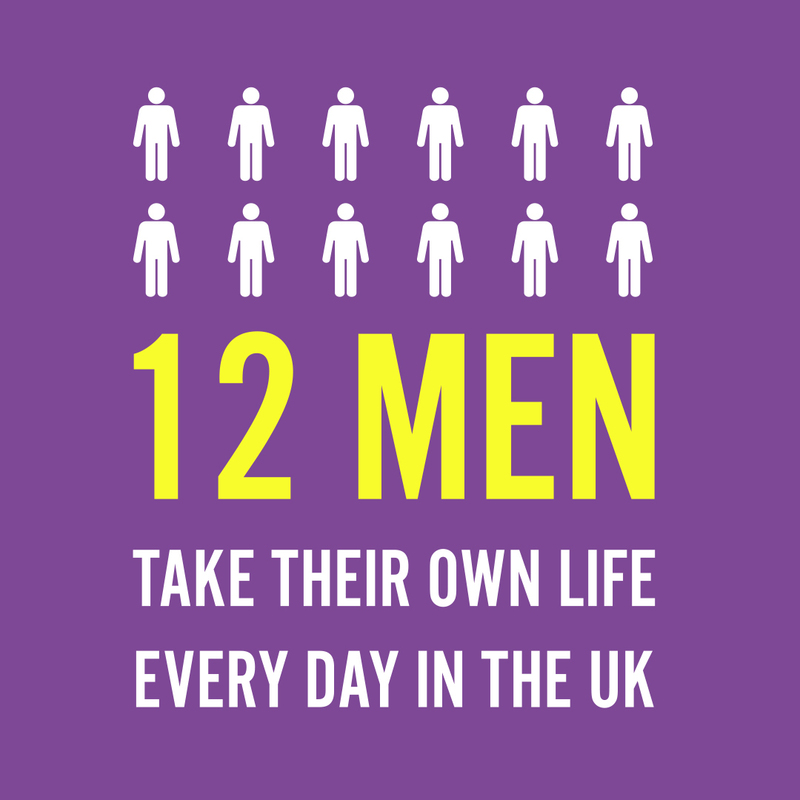 Repeat countries total 11 – including Hong Kong, China, England, Scotland, Northern Ireland, Republic of Ireland, Netherlands, Brazil, Suriname, USA and Spain (Catalonia). However I have clocked up 18 new countries too – East Timor, French Guyana, Guyana, Mexico, Costa Rica, Belize, Honduras, Guatemala, Nicaragua, El Salvador, Andorra, Romania, Bulgaria, Transnistria, Moldova, FYR Macedonia, Kosovo and Montenegro. 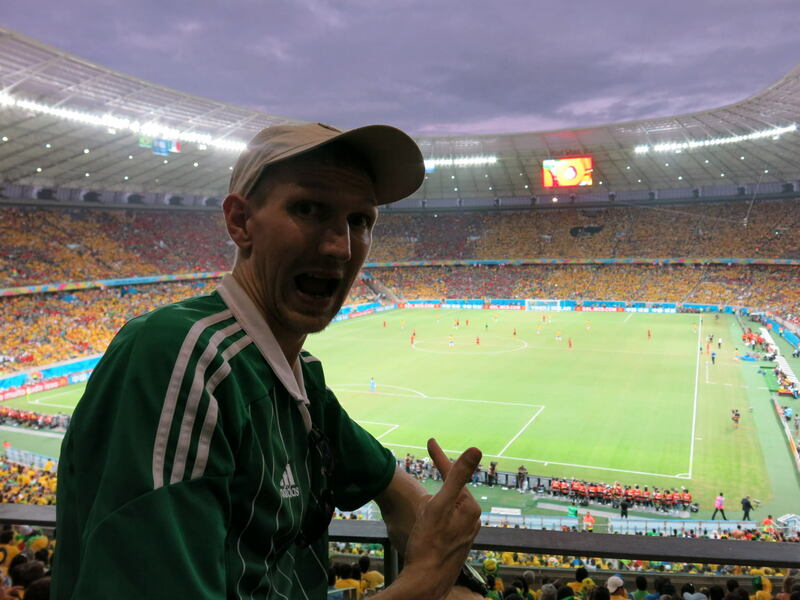 From those adventures, I have narrowed it down to a Top 12 Travel Moments of 2014. 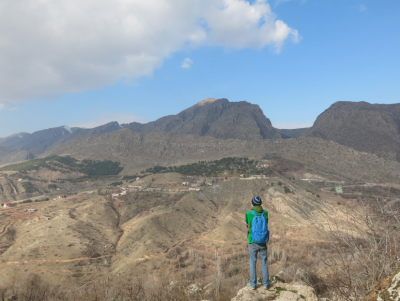 Our time backpacking in Iraqi Kurdistan was very different and full of surprises. I loved the old mountain village of Amadiya which we headed out to, while based in nearby Duhok. The views from Amadiya were also amazing. This is the view from the walls of Amadiya in Iraqi Kurdistan. 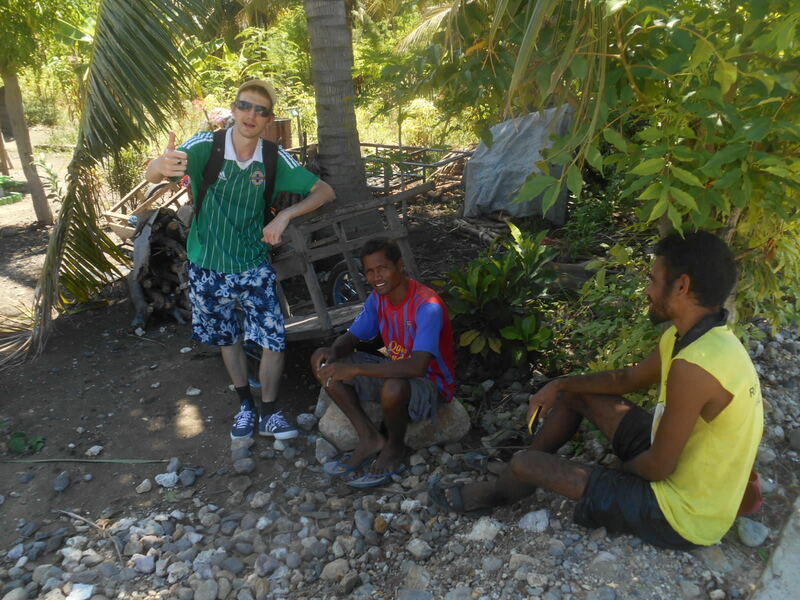 East Timor is not an obvious backpacking destination but it is certainly a memorable one. 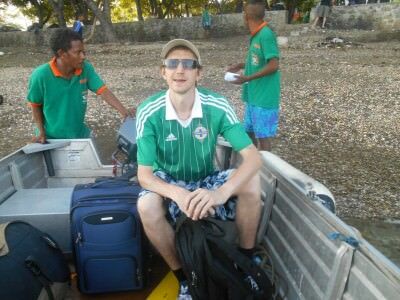 After exploring Dili, the capital city I headed the 30 plus kilometres north on a rocky boat to the impressive and remote Atauro Island. My first ever World Cup match live was in the city of Fortaleza where we watched Brazil draw 0-0 at home to Mexico in the Group Stages. 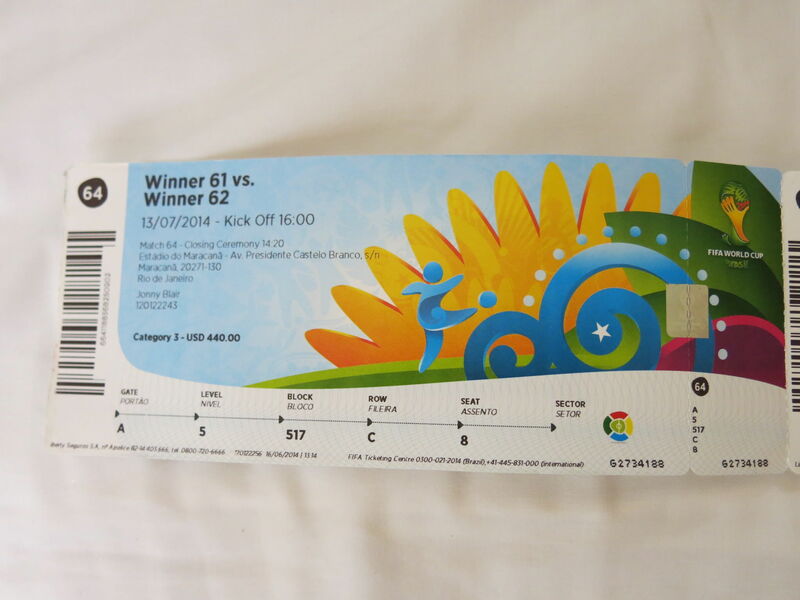 It was completely incredible to finally live my childhood dream and attend a World Cup match. I still haven’t written about this experience but did mention it in the 41 places I watched the World Cup Group Stages in. 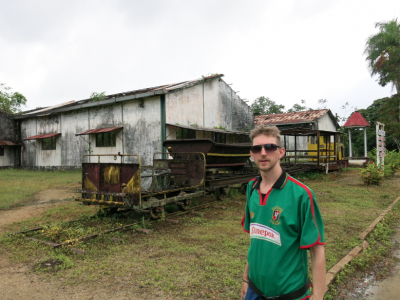 During the World Cup I made a double return visit to Suriname. Having already explored Paramaribo, this time I headed on a Sugar Cane Trail out to Marienberg with Waterproof Suriname and loved it. The Sugar Cane Trail in Suriname. Our trip to Sloth Island via Georgetown, Parika and Bartica was just sublime. 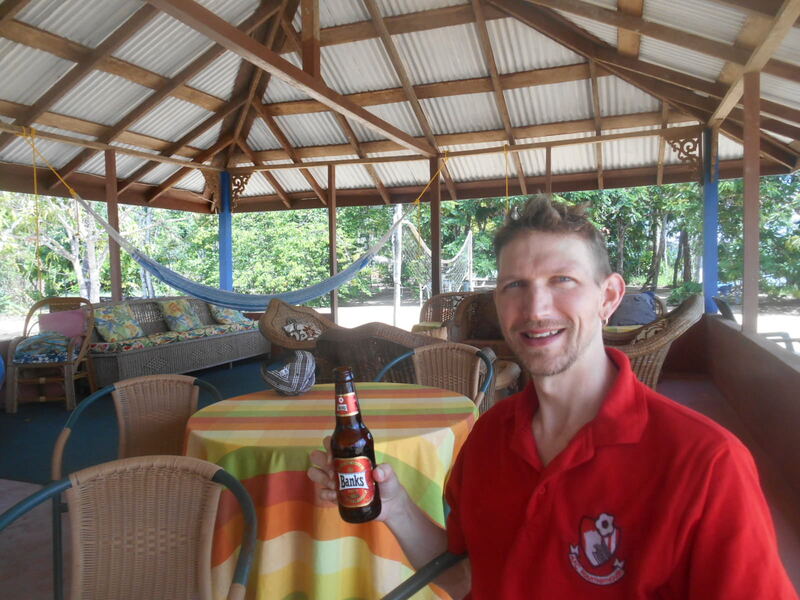 There we were relaxing in the middle of an island in Guyana. It was pure tropical paradise and just edged Kaieteur Falls onto this list! So I did it. 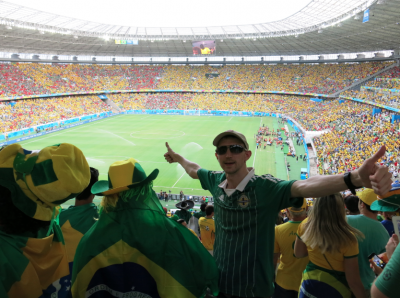 I lived out my childhood dream completely with this one and took my Mum, Dad and girlfriend to the FIFA World Cup Final in Rio de Janeiro, Brazil. 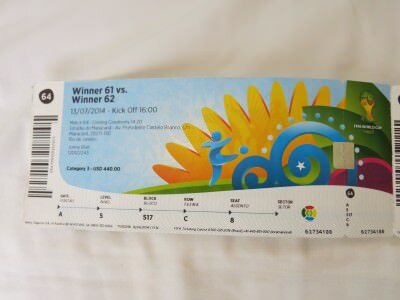 We had amazing seats for the match between Argentina and Germany, Mario Goetze’s late goal in extra time winning it for the Germans. Mexico came after Brazil and I loved it and was surprised by the Mexican food. It is simply the best food I have ever had on my travels as I toured through Mexico City, Oaxaca and San Cristobal I devoured more meals than normal in our couple of weeks here before heading overland to Guatemala. Tajumulco is the highest peak in all of Central America and while based in Xela/Quetzaltenango, we headed on a few hikes, the first of which saw us reach the summit of Tajumulco – an incredible journey and simply amazing views from the top. 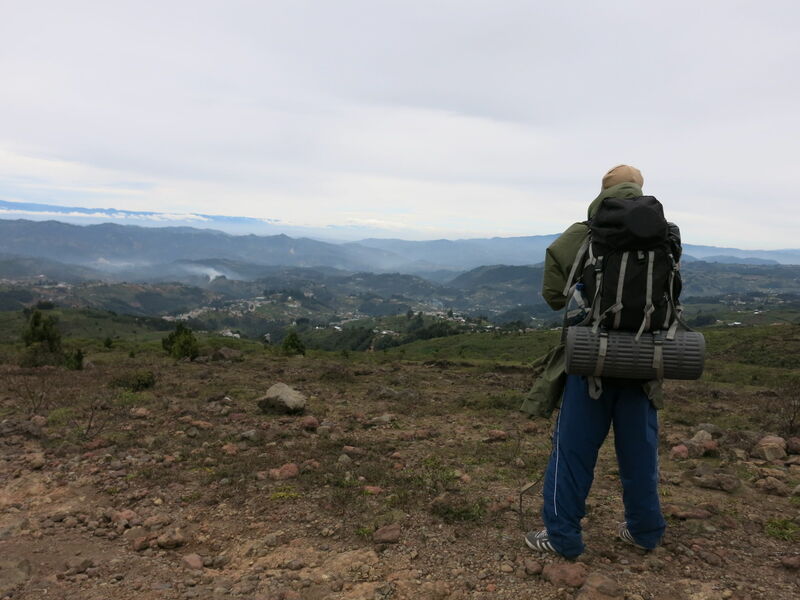 Best of 2014- Hiking Tajumulco in Guatemala – Central America’s Highest Peak. 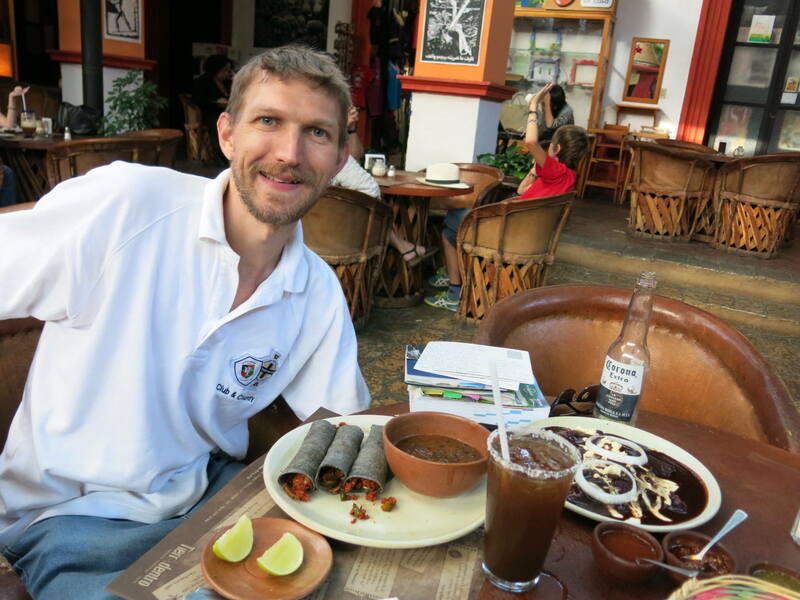 A big surprise for me was El Salvador which was easily my favourite country in Central America. I packed a hell of a lot into my 10 days in the country (Chalchuapa, Barra de Santiago, Santa Ana, Joya de Ceren, San Salvador etc. 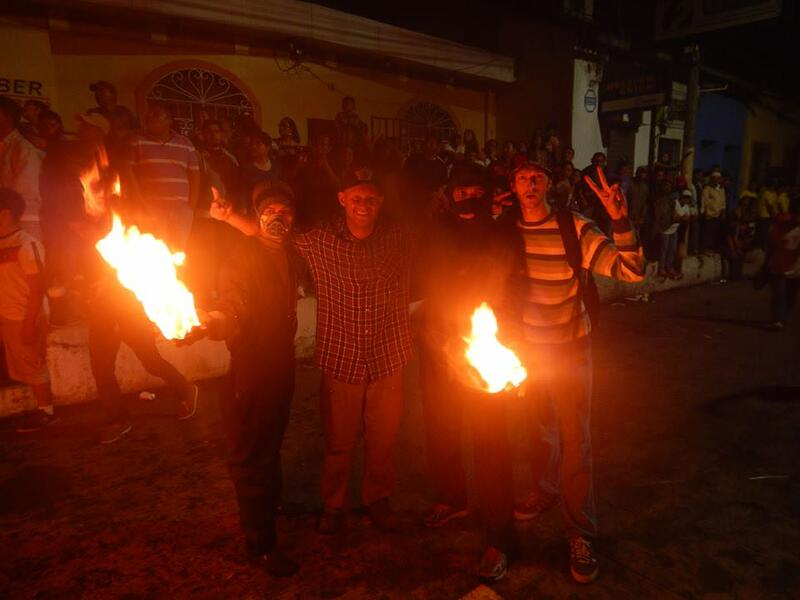 )but the highlight remains the crazy crazy Fireball Festival in Nejapa, known locally as Bolas del Fuego! I really enjoyed my stay back in Northern Ireland in October and I was able to tour the north coast including my first ever visit to Portbraddon, as well as spending nights in Bushmills and Ballintoy. 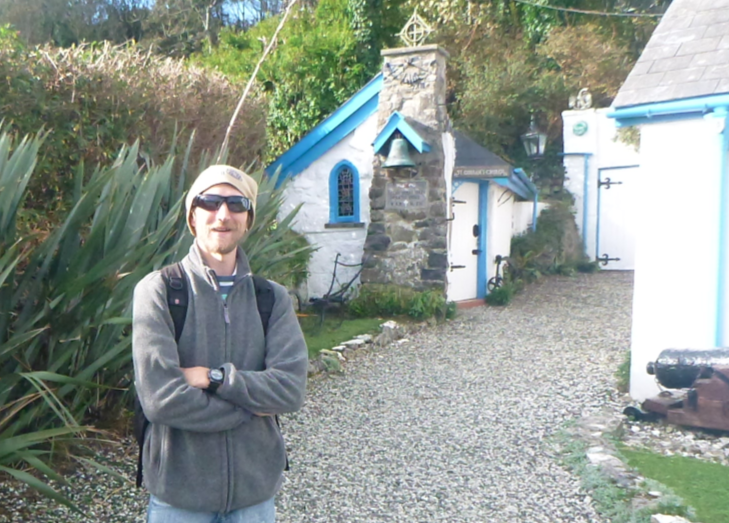 Admiring Ireland’s Smallest Church in Portbraddon, North Antrim Coast. Moldova is a really really cool country. 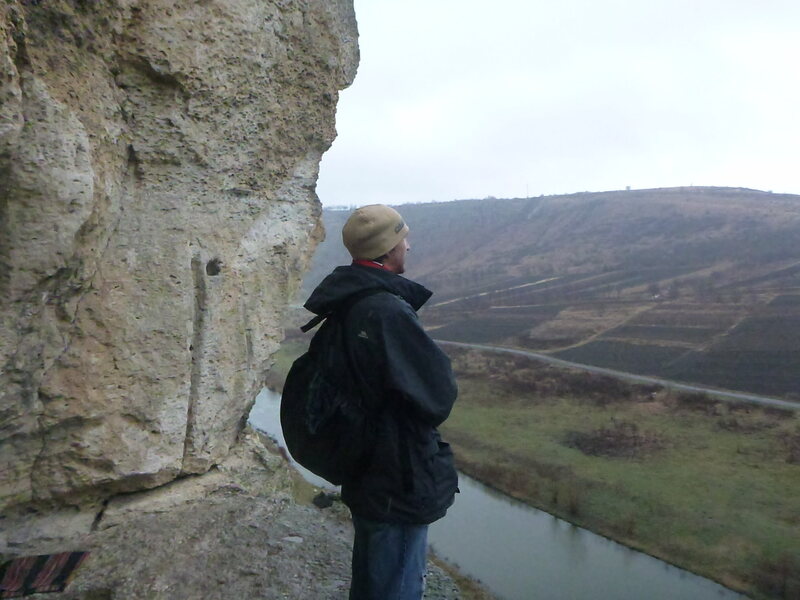 It is completely overlooked and under-rated and as well as exploring the marvellous capital city of Chisinau, I headed out into the countryside and was inspired by my day out in Orehiul Vechi Monastery and the remote village of Butuceni. 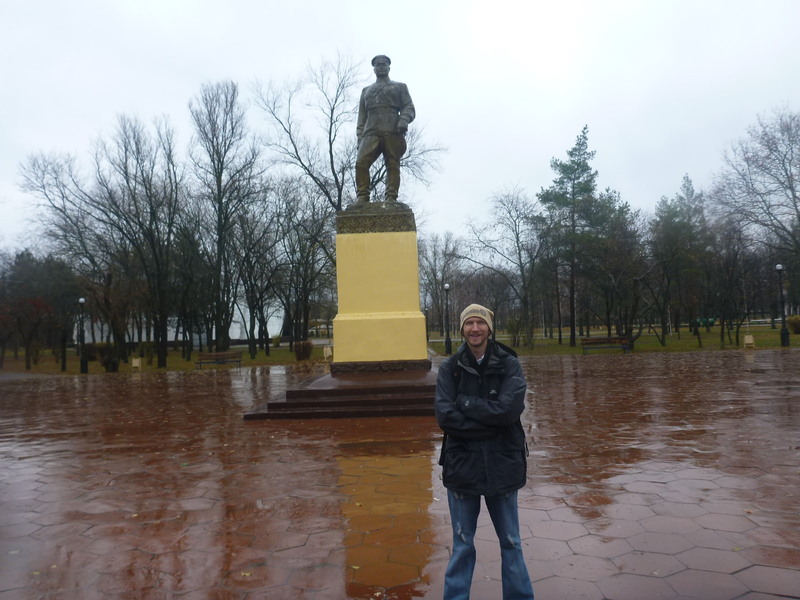 Oh Butuceni – what a spontaneous dream day out in Moldova. Inspired. Seriously Transnistria is a country I knew very little about. I had heard of it of course and enjoyed looking it up on maps. This year, I finally made it to Transnistria, crossing in from Moldova to Tiraspol, before enjoying a homestay in Balka, touring Tiraspol and the Transnistrian food experience. These three moments were not directly related to travel but all a part of my journey so I need to include them! It was just incredible to meet up with Paddy Campbell again, 20 years on from the Great Exam Heist. 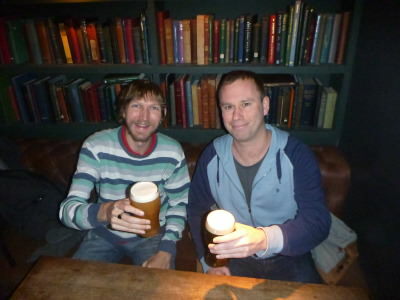 We had a night out with drinks, food and chat in Newcastle upon Tyne, England. I never thought I’d get this old. But there it was – a 30 Year Kilmaine Primary School Reunion in Bangor, Northern Ireland. We got a tour of the school and went out for a meal and drinks. It was great to see Coleen, Sarah, Magoo, Graham and Mark again after all these years. 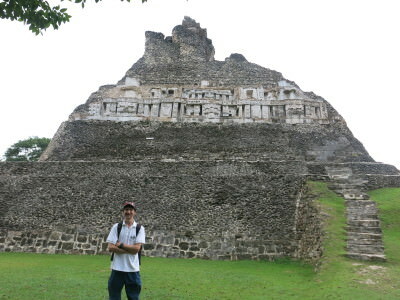 The Travel Blogging legend and guru that is Matthew Kepnes AKA Nomadic Matt. 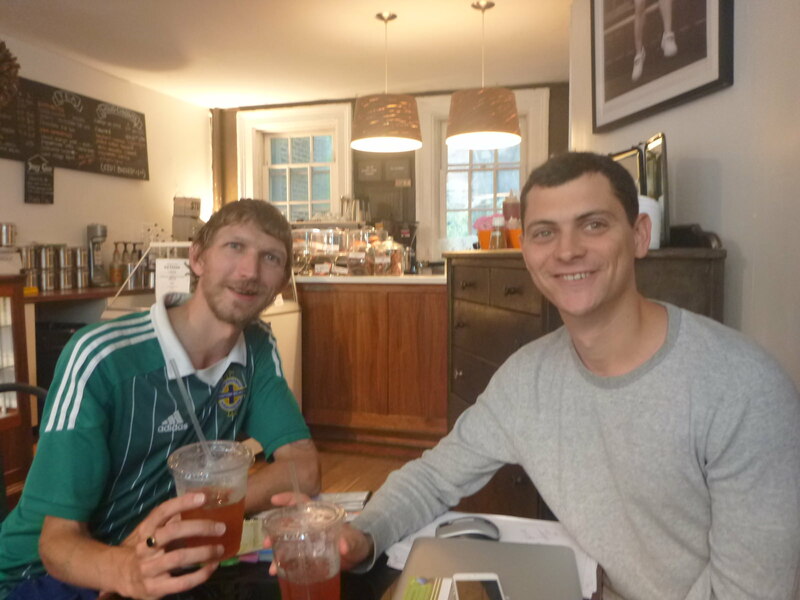 It was cool to have a tea and chat with Matt on an afternoon during my first return to NYC since 2007. We met up in the Chocolate Bar, NYC. 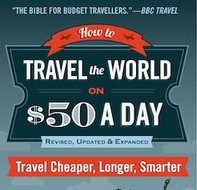 Check out Nomadic Matts book on Making Money With Your Travel Blog! On a personal level, I also completed a lot of my targets and milestones from that Sunday’s Inspiration post. I cracked the $10,000 milestone from my travel writing and online work, I have my book underway and I’ve seen my family a lot more (3 visits to Northern Ireland is a record for me for the last 5 years). In 2015 I aim to visit at least 5 more countries, to take me up to my target of 100 countries by the age of 35. 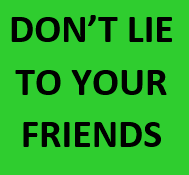 I’ll reveal my travel plans on the Don’t Stop Living Facebook Page in the new year and keep you all updated. As ever, thanks for all your comments and follows and the meet ups with you all this year. I wish you all a happy and prosperous 2015. I might see you around! Safe travels. 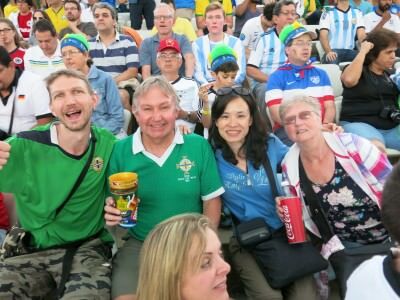 This entry was posted in 2014 World Cup, Amadiya, Asia, Atauro Island, Ballintoy, Bangor, Brazil, Bushmills, Butuceni, Central Asia/Middle East, Concordia, Dohuk, Duhok, East Timor, El Salvador, England, Europe, fortaleza, Guatemala, Guyana, Iraq, Kurdistan, Marienburg, Mexico, Mexico City, Moldova, Nejapa, New York, Newcastle Upon Tyne, North Antrim Coast, Northern Ireland, Northumberland, Oaxaca de Juarez, Orheiul Vechi, Portbraddon, Rio de Janeiro, San Cristobal de las Casas, Sloth Island, South America, Suriname, Tiraspol, Transnistria, United Kingdom, USA, Volcan Tajumulco. Bookmark the permalink. What an amazing year of travel you have had. Probably the best one I have ever seen anyone do in a long time! Can wait to see how you will make out in 2015, especially the countries you will visit to crack the Century mark.